Originally constructed for Jonathon Pettibone Jr., The Pettibone’s Tavern was a key stop along the Boston-to-Albany Turnpike as well as a meeting spot for discussing strategy and plans for the Revolution. Over the years the tavern has served as a private residence as well as a restaurant. 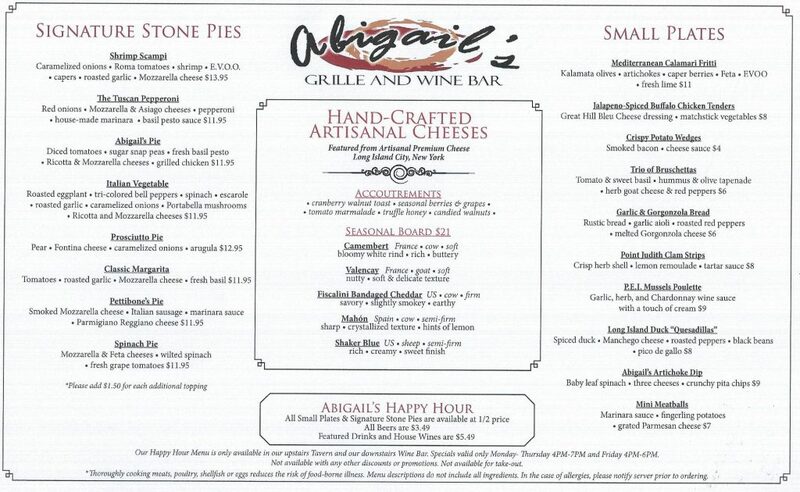 In 2008 it was reopened after extensive renovations as Abigail’s Grille and Wine Bar by the current owners. 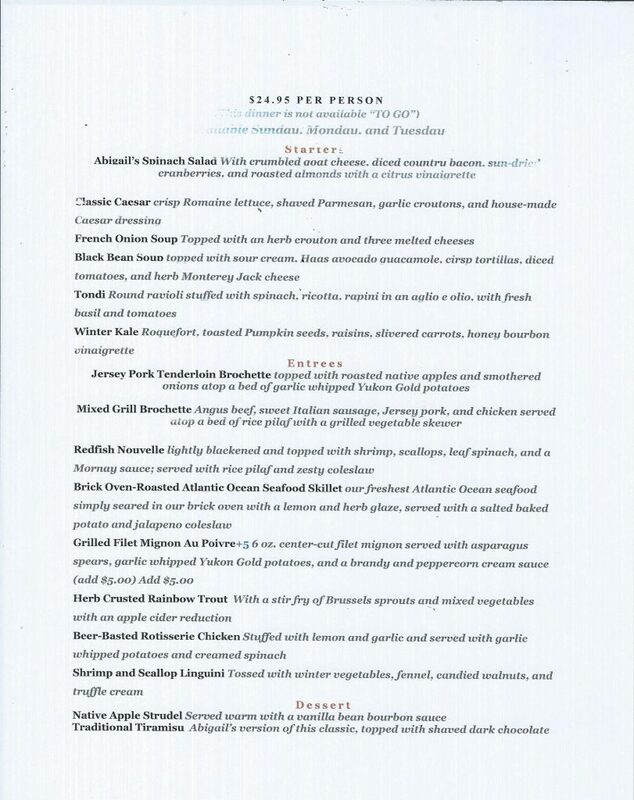 With an extensive menu of creative continental cuisine and a welcoming New England atmosphere, Abigail’s Grille and Wine Bar is perfect for any occasion. From birthdays, anniversaries, and other special events in our dining room to a casual evening out at the bar, Abigail’s is open to host your special occasion.